Scientists look at a lot of data — including the famous Stanford analysis — and find an excellent reason to enjoy organic produce. A Stanford study released in 2012 made headlines when it was announced that there wasn’t necessarily a nutritional advantage to eating organic produce over conventional produce. Many people felt that the uproar that followed in response to the study – with people saying that organic food was a “scam” or useless – was misguided. You can read my thoughts about other good reasons to choose organic here, and Starre’s similar opinions here from that time. Now, a new study shows that organic produce just may have an across-the-board better nutritional value after all. This new analysis looked at more than just the Stanford study. The researchers found that while it was true that certain vitamins and minerals were the same in conventional and organic produce (such as vitamin C and E) that there was a significant difference in antioxidant levels. Organic produce has between 20 and 40 percent more antioxidants than conventional produce. A co-author of the study, Charles Benbrook, notes that this is significant because one of the reasons we are encouraged to eat produce is for this antioxidant benefit. While research is still ongoing, antioxidants have been under scrutiny for a long time because of their anti-cancer and anti-aging effects. But why is there any difference in antioxidant levels? Conventional produce is more likely to be highly fertilized, which can lead to faster-growing plants, which means bigger produce and more diluted antioxidants. Plants that are not protected by pesticides have to work harder at producing deterrents to insects, which translates into more antioxidants. However, it should be noted that there is a wide range of practices in conventional and organic farming. Some organic farmers use a lot of organic fertilizer and organic pesticides too. Regardless, this study is intriguing and encouraging. While there are other reasons to choose organic other than simple vitamin and antioxidant levels, I’m thrilled when I get more bang for my buck with each bite I take, so I’ll gladly take that 20 to 40 percent more antioxidant increase any day. Categories: antioxidants, organics | Tags: antioxidants, diet, fruit, organics, vegetables | Permalink. We have all heard of antioxidants, but have we heard of the mother of all antioxidants? One that is the secret to prevent cancer, heart disease, aging, neurological issues and more? This single antioxidant has been studied in great depth yet most of us know nothing about it and many doctors have no idea how to address the epidemic of its deficiency in humans. We are of course talking about Glutathione (pronounced “gloota-thigh-own.”) This is a powerful detoxifier and immune booster and is crucial to a healthy life. Although the body does make some of its own Glutathione, poor food quality, pollution, toxic environments, stress, infections and radiation are all depleting out bodies glutathione. The best part of glutathione is that is contains sulfur chemical groups that work to trap all the bad things like free radicals and toxins such as mercury and heavy metals in our body then flush them out. This is especially important in our current world of heavy metal bombardment. The body makes it, but it’s often not enough in our strenuous environment. Here are some food sources that either contain glutathione or its precursors to help the body produce more. Notice they are all healthy foods we often don’t get enough of? This is another big issue with our diets. We consume a lot of junk, meat, dairy and processed foods, items that clinically have been proven to be the number one causes of heart disease and illness yet we consume them in huge quantities. The key is to limit these and eat a lot of fresh, lively foods that provide nutrients and don’t ask the body to perform a mega job to digest. You can also increase your exercise as glutathione production increases when you exercise. Breathing and sweating are also great ways to get rid of toxins in the body. What makes glutathione so important and powerful is that it recycles antioxidants. When your body is dealing with free radicals, it is essentially passing them from one molecule to another. They might go from vitamin C to vitamin E to lipoic acid and then to glutathione where they are cooled off. Antioxidants are recycled at this point and the body can now regenerate another glutathione molecule to go back at it again. Glutathione is crucial for helping your immune system fight chronic illness as it acts as the carrier of toxins out of your body. Like a fly trap, toxins stick to glutathione and they are carried to the bile into the stools and out of the body. Glutathione is also powerful enough that it has been shown to help in the treatment of AIDS greatly. The body is going to get in touch with oxidants and toxins, the more we can deal with those the better our body will be at staying strong, this is why glutathione is so important. 2. Try bioactive whey protein. This is great source of cysteine and the amino acid building blocks for glutathione synthesis. As you know, I am not a big fan of dairy, but this is an exception — with a few warnings. The whey protein MUST be bioactive and made from non-denatured proteins (“denaturing” refers to the breakdown of the normal protein structure). Choose non-pasteurized and non-industrially produced milk that contains no pesticides, hormones, or antibiotics. Immunocal is a prescription bioactive non-denatured whey protein that is even listed in the Physician’s Desk Reference. Categories: antioxidants | Tags: antioxidants | Permalink. When you need a sweetener, what do you turn to? Honey, agave nectar, or maybe just plane ole sugar? I’m far from being this “freaky” eater, but my sweetener of choice is organic, Grade A maple syrup. Aside from smothering pancakes and waffles in this delicious brown syrup, maple syrup is a very versatile sweetener. I like adding it to yogurt, oatmeal, or apple sauce, but you can also use it in dressings for salads, in fish or chicken dishes, or in a granola parfait, or roast some almonds in maple syrup and spicy cinnamon for a light, healthy snack. These maple syrup recipe ideas are sure to inspire you. It’s an antioxidant powerhouse. Researchers at the University of Rhode Island found that maple syrup is filled with anti-inflammatory and antioxidant compounds that may help prevent several chronic and inflammatory diseases like diabetes, cancer, osteoporosis, and Alzheimer’s. It also comes packed with phenolics — the beneficial antioxidant compounds in maple syrup — that may help diabetics keep their blood sugar levels balanced since phenolics inhibit the enzymes that are involved in the conversion of carbohydrates to sugar. Here are more reasons why it’s good for us. It settles digestion issues. Try swapping out sugar in baked-good recipes for maple syrup, and you may find that the usual gas and bloating you normally experience after consuming processed sweeteners is no longer an issue. If you do replace sugar with maple syrup, just be sure to reduce the amount of liquid the recipe calls for by about a half-cup. It helps with muscle recovery. 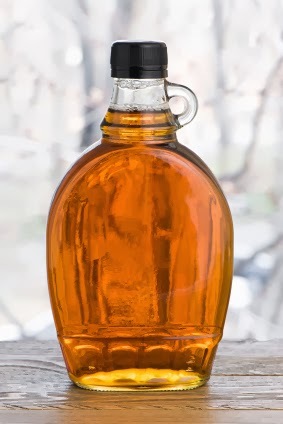 Real maple syrup is an excellent source of manganese, which helps repair muscle and cell damage; it also keeps bones strong and blood sugar levels normal. It is filled with important nutrients. Maple syrup contains essential nutrients like zinc, iron, calcium, and potassium. Zinc not only supports reproductive health, but it also helps to keep your white blood cells up, which assist in the protection against colds and viruses. As sweet as all of this sounds, keep in mind that at the end of the day, maple syrup is still just liquid sugar. Too much sugar intake can increase your risk of obesity, diabetes, unhealthy blood levels of fat and cholesterol, and high blood pressure, so regardless of its health benefits, be sure to use maple syrup in moderation. Categories: Alzheimer's disease, antioxidants, calcium, digestion, inflammation, maple syrup, zinc | Permalink. 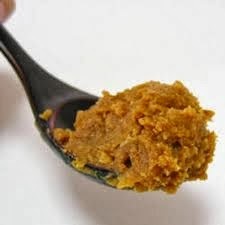 I often introduce miso in my cooking classes or recommend its use for healing diets. As it is not a common American food staple, I often find that people are reluctant to pay for a tub of miso that will sit in the back of their refrigerator for most of eternity. Coming to embrace the benefits of serving miso soup on a daily basis can take time for some, unless it is a necessary part of a diet meant for healing purposes. Otherwise, what to do with the soybean paste with Japanese credentials? 1. Use light colored miso as a dairy substitute in place of milk, butter, and salt in creamed soups. 4. Use unpasteurized miso in marinades to help tenderize animal protein and breakdown vegetable fiber. 5. Use the dark rice or barley miso, thinned with cooking water as a sauce for water sauteed root vegetables or winter squash. Categories: antioxidants, miso, probiotics, soy | Permalink. It is believed to have originated in southern Mexico and Central America, where the seed played an important role in the diet of the Mayans and Aztecs . Nowadays, the popularity of chia seeds grows due to its high nutritional value. Chia seed is a balanced blend of protein, carbohydrates, fat and fiber. Chia contains 5 times more calcium than milk, three times more iron than spinach, 3 times more antioxidants than blueberries and 2 times more potassium than bananas. 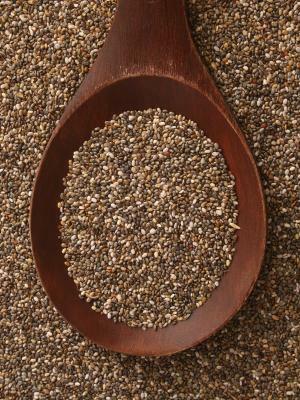 In addition to that, chia seed is the richest source of essential fatty acids such as omega -3 and omega – 6. By adding just two tablespoons of chia seeds into your daily diet you will provide about 7 grams of the recommended daily dose of fiber, 4 grams of proteins, 5 grams of omega -3 fatty acids, 18 % of the recommended daily dose of calcium, 35 % phosphorus, 24 % of magnesium, and 50 % of manganese. As partof the healthy diet regime, Chia seeds can help encouraging the immune and reproductive system, preventing cardiovascular disease by reducing cholesterol, triglycerides and high blood pressure. A study done at the hospital St.Mihail in Toronto showed that participants who regularly ate chia seeds have a significant reduction of the blood pressure. Chia seeds can help patients with diabetes to utilize insulin more efficiently. Eating Chia before meals reduces appetite, gives a feeling of satiety, increases the level of energy, which is the main reason why the seed is so popular for people who try to lose weight. Incorporating chia seeds into your diet (on a regular basis), helps not only your physical health but your mental health as well. Studies show that chia seeds help patients with bipolar disorder and also in reducing depression and other negative feelings. Chia seeds doesn’t have taste, but if you combine it with other food products you will get not only delicious, but also a visual delight. 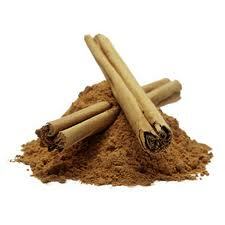 It can be consumed raw or sprinkled on smoothie or juice, cereal, rice, yogurt or vegetables. Here is one healthy and natural energy Chia drink that you must try! Mix well the lemonade and the stevia, add chia seeds and stir nicely. Then allow the mixture to rest for 10 minutes. Chia seeds will absorb the water and become jelly-like. Categories: antioxidants, blood pressure, chia, cholesterol, depression, diet, energy, nutrition, Omega-3, recipe, seeds | Permalink. 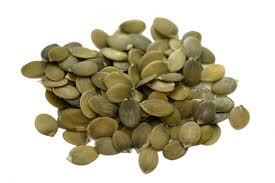 Categories: antioxidants, anxiety, cancer, depression, diet, minerals, protein, pumpkin, seeds, serotonin, vitamins, zinc | Permalink. 1. Make sure to get your omega-3 fatty acids. EPA, one of the omega-3 fatty acids found in fish, fish oil, and algae-based supplements along with DHA, has anti-inflammatory properties. Unfortunately, plant sources of omega-3 fatty acids like flaxseed and walnuts provide alpha-linolenic acid (ALA), which does not have anti-inflammatory properties until it’s converted by your body to EPA and only a very small amount of ALA gets converted. To truly reap the anti-inflammatory benefits of omega-3 fatty acids, it’s best to consume EPA directly by eating fish, taking fish oil, or an algae-based EPA and DHA supplement. 2. Avoid omega-6 fatty acids and trans fats. Omega-6 fatty acids promote inflammation in the body through the production of inflammatory compounds. Most people eat way too many omega-6 fats, which you will find in corn, soybean, and cottonseed oils. Another type of pro-inflammatory fats are trans fats, found in any products with “partially hydrogenated oil” in the ingredient list. They are usually found in baked goods, shortening, and margarines. 3. Avoid sugar and refined carbohydrates. Sugar and refined carbohydrates contribute to elevated blood sugar and insulin levels, which may cause and exacerbate inflammation. In addition, sugar and refined carbs also contribute to weight gain and can make it more difficult to lose weight. Excess body fat is another major contributor to inflammation. Free radicals are highly reactive compounds that can damage the cells of your body and create and contribute to chronic inflammation. Antioxidants are able to neutralize these free radicals to reduce inflammation. Antioxidants include vitamins A, C, and E as well as the colorful pigments of fruits and vegetables. 5. Make sure you’re getting plenty of vitamin D.
Vitamin D deficiency has been associated with several inflammatory and autoimmune conditions like Crohn’s disease and multiple sclerosis, though it’s specific role has not yet be elucidated. The two main sources of vitamin D are the sun and food. Many people, especially those who live further away from the equator, don’t get much sun exposure especially during the winter. When you aren’t making enough vitamin D in your skin from sun exposure, make sure to include food food sources of vitamin D like fish and egg yolks and foods that are fortified with vitamin D like almond or coconut milk. Categories: antioxidants, diet, inflammation, Omega-3, Omega-6, sugar, trans fats, vitamins | Permalink.